34. עַד שֶׁהָיוּ יוֹשְׁבִים, נִכְנְסוּ חַכְמֵי הַדּוֹר לְבַקֵּר אוֹתָם, וְקִלֵּל אוֹתָם עַל שֶׁלֹּא בָאוּ לְשַׁמֵּשׁ אוֹתוֹ, שֶׁשָּׁנִינוּ, גְּדוֹלָה שִׁמּוּשָׁהּ יוֹתֵר מִלִּמּוּדָהּ. עַד שֶׁבָּא רַבִּי עֲקִיבָא, אָמַר לוֹ, עֲקִיבָא, עֲקִיבָא, לָמָּה לֹא בָאתָ לְשַׁמֵּשׁ אוֹתִי [שֶׁהֲרֵי בָּאָה הָעֵת לְהִצָּרֵף]? אָמַר לוֹ, רַבִּי, לֹא הָיָה לִי פְּנַאי. רָתַח וְאָמַר, אֶתְמַהּ עָלֶיךָ אִם תָּמוּת מִיתַת עַצְמְךָ. קִלְּלוֹ שֶׁמִּיתָתוֹ תִּהְיֶה קָשָׁה מִכֻּלָּם. 35. בָּכָה רַבִּי עֲקִיבָא וְאָמַר לוֹ, רַבִּי, תְּלַמֵּד אוֹתִי תּוֹרָה. פָּתַח פִּיו רַבִּי אֱלִיעֶזֶר בְּמַעֲשֵׂה מֶרְכָּבָה. בָּאָה אֵשׁ וְהִקִּיפָה אֶת שְׁנֵיהֶם. אָמְרוּ חֲכָמִים, נִשְׁמָע מִזֶּה שֶׁאֵין אָנוּ רְאוּיִים וּכְדָאִים לְכָךְ. יָצְאוּ לַפֶּתַח הַחִיצוֹן וְיָשְׁבוּ שָׁם. הָיָה מַה שֶּׁהָיָה, וְהָאֵשׁ הָלְכָה. While Rabbi Eliezer and his son were sitting, the wise scholars of the generation came to visit him. He cursed them for not coming early to serve him because it is known that serving the holly and the spiritually elevated brings greater benefits than the study of that source. Rabbi Eliezer was upset with them for missing a great opportunity to connect to his Light, especially when it is on the highest level when he is about to leave the world. His departure from this world is like a wedding night, bringing the bride to the groom. At that time the spiritual opening is to all the levels of Zeir Anpin. When Rabbi Akiva came in Rabbi Eliezer asked him to the reason why he didn’t come to serve him. Rabbi Akiva answered that he was busy until that moment. He became really upset and told him, “I wonder if you die in your time”, then he cursed him to experience the worst horrible death of all. Rabbi Akiva cried and begged him to teach him some Torah. Rabbi Eliezer opened with study of the creation of the upper levels. A fire appeared immediately and surrounded both of them. The wise scholars realized that they are not worthy for such level of study and they went outside until the fire left. When one serves a Tzadik and his work on the level of Malchut, he connects himself to the vessel of The Tzadik and the Light in it. When one studies from a Tzadik he is able to receive Light according to his own vessel. No matter how big is the Tzadik, the student cannot learn or benefit from the study more than what his vessel is capable of receiving. Every missed opportunity to draw Light is considered as a sin. When Rabbi Eliezer cursed the scholars, making them feel bad, he took away the Tikkun process that may have had to go through because of not servicing him. 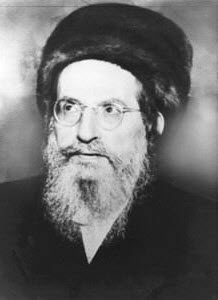 As a great Tzadik, he didn’t think about himself but what was good for them. For Rabbi Akiva he gave the ultimate gift of elevating his soul in holiness. We know that later Rabbi Akiva was tortured to death by the Romans as one of the Ten Martyrs. The fire that surrounded Rabbi Eliezer and Rabbi Akiva formed a wall that blocked the negative side from connecting to the holy. When the study and the revealed secrets are so high, the souls of those who study ascend to the higher levels. The fire protects them from the aspects and limitations of Malchut.